To achieve anything big or worthwhile you need the support of lots of people. Most successful business, sales people and entrepreneurs in our society are those who have learned how to sell people on not only their ideas, but the ideas of others to increase their buying power. Your ability to get the support of the key people in your business and personal world will have as much to say about your ultimate success as anything else. When we talk about “selling people on your ideas”, many people feel a little uneasy. They think to themselves that this cannot really apply to them because they are not really in sales. But this is silly. You see, everyone is in sales. Everyone sells something to someone under some conditions. From the time you are an infant and you begin selling your parents on the idea of changing your diapers or, getting you a bottle or rocking you to sleep, you are in sales. Your buying power as a child are your smiles and sweetness on the one hand, and your crying and screams of annoyance on the other. And in either case, you are attempting to make a sale of some kind. A good definition of selling might help. Selling is the ability to influence others to cooperate with you to achieve your goals. You only have two choices. You can get key people to cooperate with you or you can simply cooperate with them. You can be an agent of influence or you can be a recipient of influence. You can be good at the business of influencing and persuading others people or you can be poor at it. 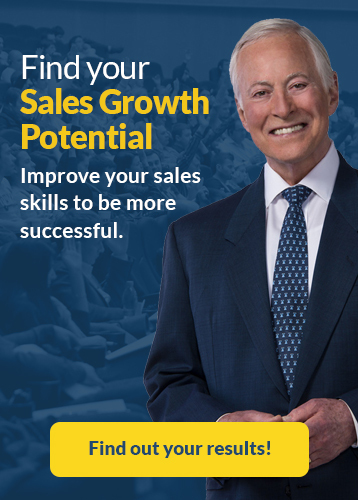 But in any case, you are in sales. 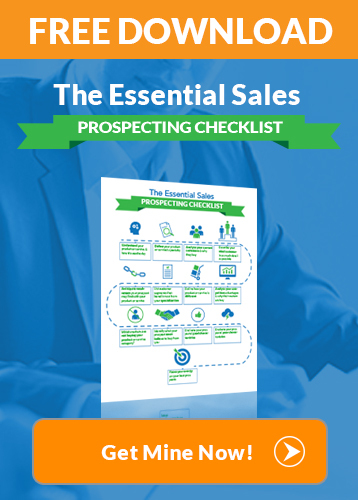 Fortunately, the basic principles of sales have been known for several thousands of years. A market transaction, from the earliest times, has been defined as a transaction where both parties feel that they gain by trading with the other. Otherwise, if the market is free and open, one or both parties would not enter into the transaction. When you go out into the marketplace to sell a product or service today, the case that you must make, is that your product or service will be of greater value or enjoyment to the customer than the money that the customer will have to acquire it. Your product or service must also offer a greater benefit or value to the customer than an alternative use of the money. 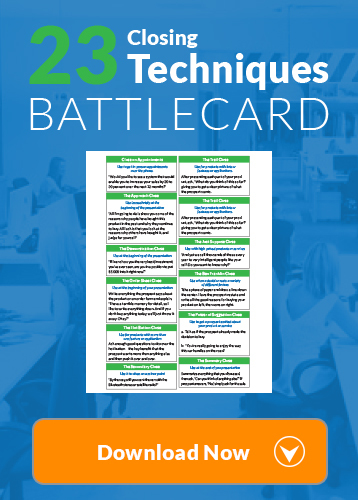 This is where sales is absolutely essential to all transactions. There are two major areas of your life where your ability to sell people on your ideas will determine your ultimate success or failure. The first is when you work for a company. The second is when you start your own business and become an entrepreneur. I’ll talk about the selling skills you need in both cases, but let’s start with selling your ideas at your place of work. What is the purpose of a business? Many people would say that it is to make a profit. However, the profit is merely the result of operating a business efficiently. The real purpose of a business is to create and keep a customer. Therefore, whenever you have an idea that can help your business to create and keep a business, or to operate more efficiently, you have a product idea that you need to sell. The number one question in sales, asked by every customer is, “What’s in it for me?” We say that every customer is tuned into his or her own favorite radio station “WII-FM,” What’s in it for me? People buy for their reasons, not your reasons. Tony Alessandra’s Platinum Rule says that you must do unto others as they wish to be done unto, not as you wish to be done unto. In sales, this simply means that you must sell unto others in terms of what they want and need, before you start talking about what you want and need. The failure to understand this simple point is the reason why most sales people either underachieve or fail in the field of selling. They are so caught up in what they are selling that they forget to take the necessary time to find out what it is that the person they are talking to might be buying. The two major motivators of human action have always been the desire for gain and the fear of loss. People buy a product, service or an idea based on their anticipation that they will be better off by following your recommendation than they would be if they did nothing at all. People may also fear that they will lose substantially more than what you are selling will cost them to preserve their current situation. In every case, you are selling an opportunity to achieve, avoid or preserve something, If you are selling an investment account or idea, you are selling the customers hope that he or she will be better off and even financially independent in the future. If you are selling life insurance you are appealing to the fear that his family or business will be left destitute or ruined should an accident occur. In either case, you are appealing to the desire for gain or the fear of loss. The bottom line of successful selling, which I have studied and practiced for thirty years, is that customers want to know what your ideas will do for them rather than what it is. Experienced sales people, of all kinds, talk in terms of how their idea will benefit the customer in his or her current situation. Inexperienced sales people talk about the features and the characteristics of their product or service, as if these had some kind of motive power. Thank you for reading this article about good sales people and increasing buying power. Please share and comment below!